Mark Keenan’s charges have been in the final of this competition for the past two years, losing out to Garvey’s Tralee Warriors on both occasions, but they made no mistake about reaching the final once more this year. They won the quarter-finals a day earlier with a 108-95 win over DCU Saints and followed up in great shape. 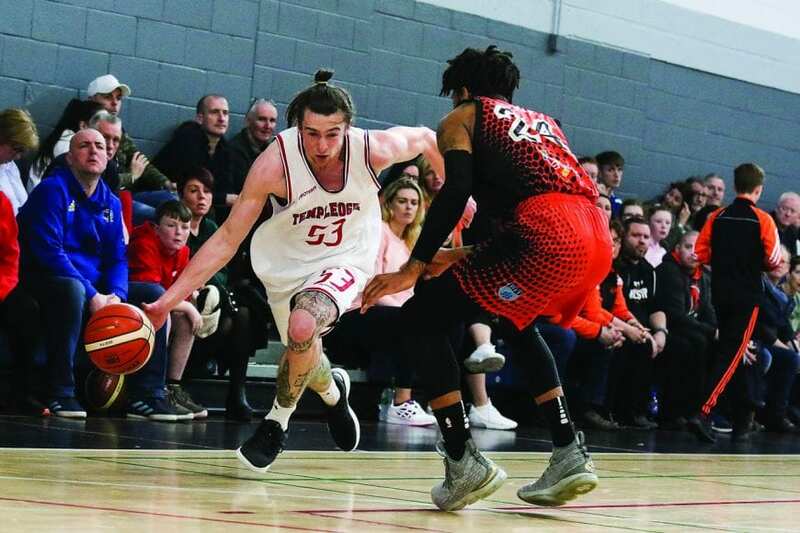 Dee Proby led the scoring for Templeogue in Sunday’s clash, finishing the game out with 26 points, while Jason Killeen and Neil Randolph chimed in for a combined 31 points in a game that finished in dramatic fashion. Leading 36-42 at the half time break, Templeogue were still in control, 52-65, going into the last. However, a late comeback from Killester, led by Luis Garcia Filiberto Hoyos, Royce Williams and Alex Herreros brought the game right back into the melting pot with just minutes on the clock. Templeogue weathered the storm though and held on to win by four in the end. “We were up 13 points with less than three minutes on the clock and we almost let them steal it at the end,” admitted coach, Mark Keenan afterwards. “But we came up with what we needed right at the death to keep that gap so we’re just delighted to get back to the Champions Trophy final – we’ve been there the past two years. Templeogue will now meet Belfast Star in the final in two weeks’ time, Star heading into the big game following wins on the road with a 84-42 win over UCD Marian and 81-65 against Warriors. Against Marian, Mike Davis top-scored with 26 points to tee up a trip to the kingdom. Davis was to the fore once more for the Belfast side, finishing the game out with 21 points, as Star led the action for the game, running into a 35-43 point lead at half time. Good scoring from Conor Quinn and CJ Fulton kept their scoreboard ticking over in the face of pressure from Tralee’s Eoin Quigley and Keith Jumper and Star held on to win out in impressive style, 65-81 in the end.